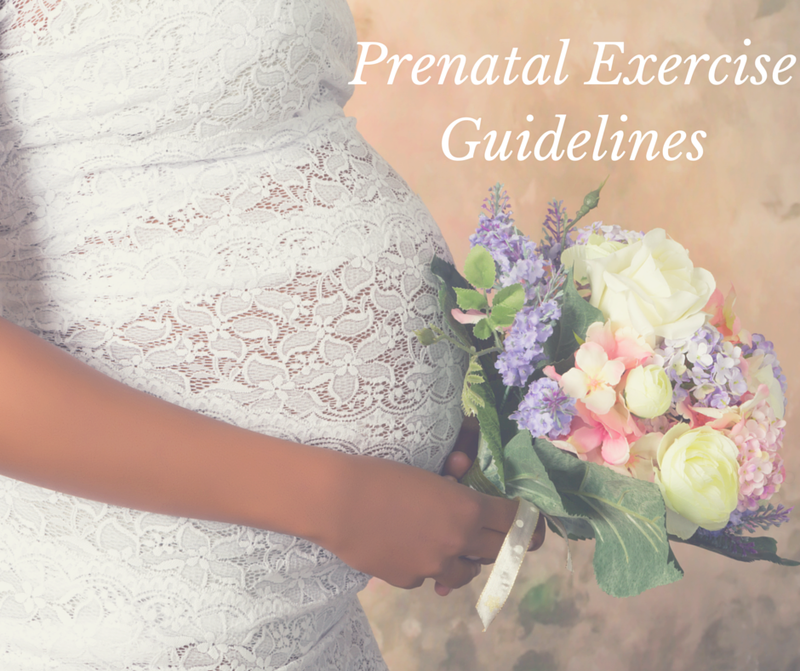 These initial insights on how to approach exercise during pregnancy are just that; beginning steps and considerations for how to cope with the new changes in a pregnant woman’s body. Unfortunately, it’s difficult for many practitioners and trainers to broach this topic in detail because every woman’s body – especially while pregnant – is unique and requires special, individualized care. For this reason, there is no single perfect routine for a pregnant woman, especially because her physical needs change from trimester to trimester! Nonetheless, I will do my best to walk you through a lot of information to consider for your personal needs. I know, all this stuff can really can make one’s head spin. Don’t worry. We’ll get it screwed back on the right way. In the sections that follow, I will attempt to paint a high-level picture of universal prenatal exercise considerations. In the future, I will also post an article including exercises that have been modified to meet the needs of a growing belly. Note: This is just a short list of benefits for the mommy-to-be, not to mention a plethora of benefits for the little one if you exercise just 3x/week! Woo hoo! You’ve peed on a stick and discovered that life is now growing inside you! First thing I want you to know is that relaxin, a hormone that can cause your joints/muscles to be looser than normal (in preparation for Junior’s big debut! ), kicks in on day one, literally. Some women can experience small changes in their body’s laxity very soon after conception. Interestingly, that is one of the first ways I knew I was pregnant – I woke up on day 25 of my cycle with my back totally out of whack. I didn’t sleep on it weird or do anything to aggravate it the day before, so the only thing I could think of was that hormones may be shifting already. A couple days later, when I went on a run with a friend, I was unreasonably out of breath and had to ask her to walk with me. It was then, in between gasps for air, that I was certain I was pregnant. On day 28, I snuck into the bathroom without telling my husband and did the classic pee-on-a-stick, and there it was – pregnant! Not every woman will experience these changes at such an early stage, but they are anecdotal evidence that hormonal changes are the REAL DEAL. Fo sho. Unless your doctor has told you otherwise, feel free to run, use the cardio equipment at the gym, swim, dance, or anything else that suits your fancy. What’s important is to avoid sudden, uncontrolled movements and exercises/sports where you may be at risk for blunt trauma to your abdomen and/or falling (contact sports, downhill skiing, mountain biking, etc.). These guidelines seem strict, but, if you want to play it safe, it’s a good idea to modify your activities. Mind you, I’ve seen women ignore some of these guidelines and, luckily, avoid injury, buuutttttttt, I’m not going to be one to suggest risk taking. To ensure that you’re exercising at an appropriate intensity, use the “talk test.” If you can talk while exercising, you’re good to go. If you’re feeling really out of breath though, you should probably take down the intensity. You may only need to reduce the intensity for a few minutes, or you may have to switch up your routine in its entirety. I like to tell non-pregnant clients to use a scale of 1-10 to assess their workout intensity. A 1 means you’re lying on your couch watching Desperate Housewives. A 10 means that you’re working out as hard as possible – a level that’s not sustainable for longer than a minute or two, at most. For pregnant clients, I like to use the same scale. I counsel them that it’s no longer going to be appropriate to reach a 10 on the scale during their workouts, but that exercising up to a 7 is going to be just fine. You might even hit an 8, from time to time, if you’re really fit. But, it’s best not to linger in that zone for very long – especially if you’re feeling really out of breath. You may be gaga for your beach body workouts or CrossFit, but pregnancy can definitely take some of the oomph out of your weight lifting routine. If you find that lifting your normal weights is a lot harder than it was before getting pregnant, then it’s a good idea to reduce the weight to a safe level. You will want to keep your heart rate in an appropriate range (see the 1-10 scale of exertion mentioned in “Cardio Guidelines” above). A lot of women find they can’t lift as heavy due to cardiac changes taking a toll on energy (ex: blood pressure drops, dizziness, fatigue). But, again, listen to your body. You should also be extra conscientious to keep proper exercise form since it can have positive or negative consequences for your changing body. Thus, choose the weights that feel appropriate and don’t be surprised if you’re a wee bit deflated by having to step down from the heavier weights that you were so proud to lift before. Weights that you can control will be best for your body! In fact, many women find that they have to opt for lower weights with higher reps. Do what you’ve gotta do! No self-shaming. Full-body workouts are always going to be the golden ticket, but, during pregnancy, you may want to put a little more emphasis on hip and core exercises since these areas will be largely impacted by the growing weight of your uterus and baby. For optimal core strength, begin focusing on your transverse abdominus through planks and stabilizing exercises instead of crunches. Crunches may still feel okay for a little while during the first trimester, depending on how quickly your body changes, but they can 1) weaken the pelvic floor and 2) place inappropriate stress on a stretching belly (which can cause diastasis recti). Pregnancy is a great time to focus on back exercises. These are super important for postural support and can minimize lower back discomfort (common in the 2nd and 3rd trimesters) and upper back discomfort (commonly results from breastfeeding and consistently holding your new bundle of joy). While weight lifting, always remember to breathe so you don’t get faint. Avoid exercises lying flat on your back once you’re putting on significant weight and/or the pressure becomes uncomfortable. This may be towards the end of your first trimester, especially if this is not your first baby, or it may be around the end of the fourth month of pregnancy for new moms who are slower to expand. Aim for stability and moderation. Sticking with safer routines doesn’t mean you can’t get a great workout. Don’t compare what you can do to what another pregnant woman can do for exercise. ‘Nuff said. After the first trimester a lot of women may need to avoid static, prolonged stretches in some or all areas of the body (esp. the stomach), and may find that foam rolling becomes difficult due to a growing belly and/or foam rolling’s impact on blood pressure. 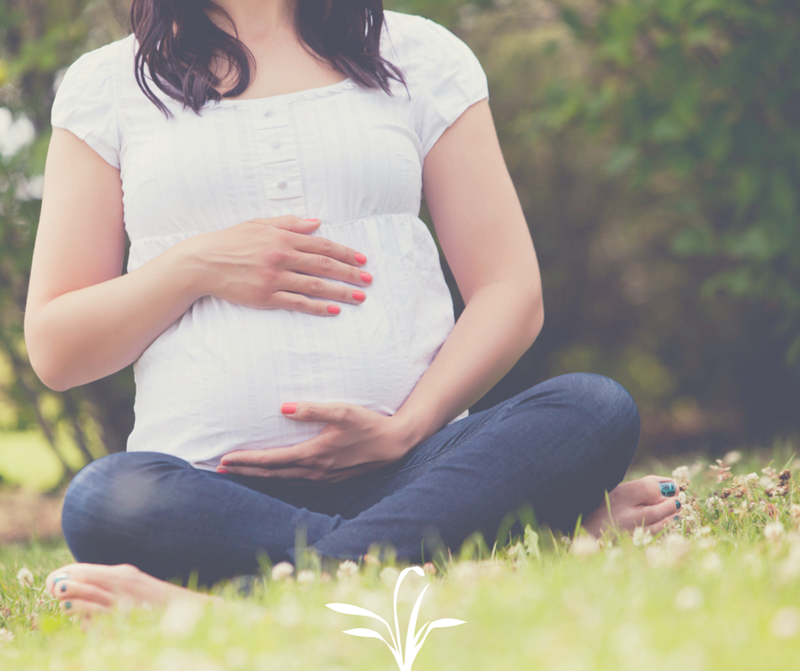 Stretching to the point of discomfort, for any period of time, is going to be contraindicated throughout the entire pregnancy, for all women. Some women may find that their regular yoga class feels comfortable for a while. A lot more women will probably find that prenatal classes are a better option once they are well into their second trimester or early third trimester. Plenty of yoga and stretching exercises can relieve some pressure and discomfort in areas that get tight from daily exercise and/or the physical burden of carrying extra weight; however, the pregnant body needs modified versions of many poses and stretches. If you’re performing yoga or stretching exercises and you notice an increase in discomfort, rather than a decrease, you should consider finding alternative routines and exercises. Plenty of women will find short-term relief of discomfort when stretching due to the increase in circulation that takes place; however, if you’re uncomfortable a few short hours later, you may try skipping yoga/stretching for a week and replacing it with stability exercises. If your discomfort decreases then there is your answer; your body is craving stability, not stretching. If you’re not noticing any change in regular discomfort, and you’ve already consulted a qualified exercise professional to learn appropriate stabilizing exercises, then it’s probably time to schedule an appointment with a physical therapist. They can give you modified exercises and hands-on care to relieve your pain. Since you’re growing a new life, you’re going to need to eat back the calories you burn. First time you’re ever going to consider doing that, right?! 😉 In general, the first trimester you can eat for weight maintenance since you don’t need many more calories per day (baby is still itty bitty). During the second trimester you need approximately 300 extra calories/day. The third trimester, depending on your pre-pregnancy BMI and your current pregnancy weight gain, may vary and go up to as much as 500 extra calories/day. Mind you, it’s best to keep track of your weight and discuss these things at your OB check-ups, especially if you have a rapid weight gain or loss at any point during pregnancy. Lastly, if you’re an expectant mama of multiples, you will need even more! Eat up! If you’re experiencing nausea, try to eat a light carb-based snack before you exercise. This may help ease the symptoms and will give you the necessary fuel to get moving. If you’re exercising regularly at ANY point in pregnancy, make a note that you may need to talk to your doctor about getting additional iron through your diet so that you don’t develop full-blown anemia (very common in pregnancy). Lastly, although carbs are probably the first good group on your pregnant brain, it’s still important to eat plenty of healthy fats and proteins. A great time for eating a healthy portion of protein is immediately following your workout. Please don’t hesitate to ask me questions if you’re expecting or expecting to be expecting! No one should have to feel “in the dark” when it comes to pregnancy and exercise. You have a built in support system right here! 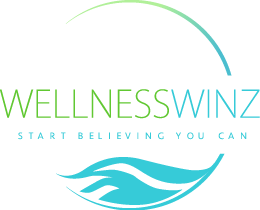 This entry was posted in Fitness, Motherhood and tagged ACOG's Guidelines, ACSM, cardiovascular exercise, guidelines, health benefits, how to eat for exercise when pregnant, pregnant strength training, prenatal, prenatal yoga, stretching on September 21, 2015 by wellnesswinz.